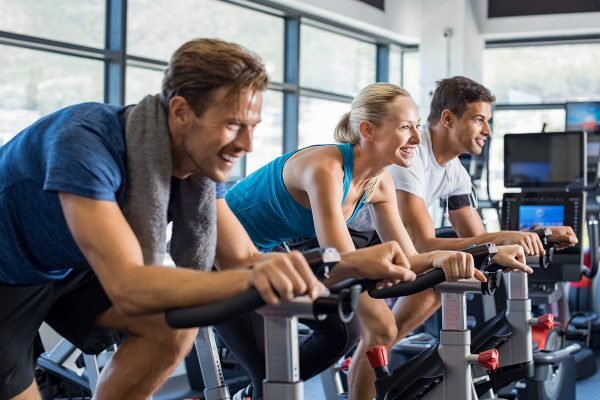 Whether you’re brand new to indoor cycling or just need a refresher, good form on the bike can be the difference between a fun ride and an unpleasant experience. So, it’s worth the time and effort to ensure that you’re setting yourself up for success. This includes everything from finding the right seat height and body positioning to utilizing resistance properly. For more, we asked Aaptiv Trainer Kelly Chase to provide her best practices for perfecting your indoor cycling form. See below, then incorporate these expert tips into your own cycling routine. Good form begins with the height of your seat. If that’s off, it’ll throw everything else off, too. Before hopping on, Chase says to stand beside your bike. Raise the closest leg up so that your knee is bent at 90 degrees and your thigh is parallel with the floor. Wherever your hip joint is at that point is where your seat should be. Raise or lower to that level, and you’ll be off to a great start. Hopefully, the adjustment above is all you need, but there’s another easy test to ensure that you’re positioning yourself correctly. Clip in or slide your feet onto the pedals. “If you have a significant bend in your legs still when they’re in the down stroke, or if they’re completely straight, this means [that] you need to tweak the height of the seat again,” says Chase. So, when your legs are extended at the bottom of the pedal stroke, you want a slight bend in the knee. This will keep you pedaling safely and efficiently. It can be tempting, especially when you’re a new rider, to put extra weight on your handlebars to give your legs a break. But, it’s much better to keep your hips back over the pedals while maintaining a loose grip on the bars. 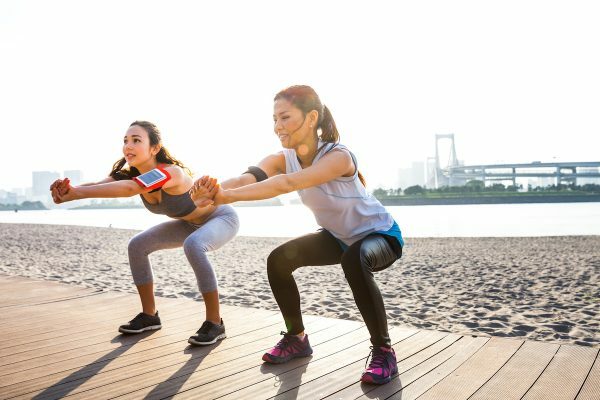 In this position, your weight will be supported by your core and lower body to avoid putting unnecessary weight on your wrists and shoulders, which can lead to injury. Chase recommends keeping your feet flat on the pedals to give your leg muscles a balanced workout. 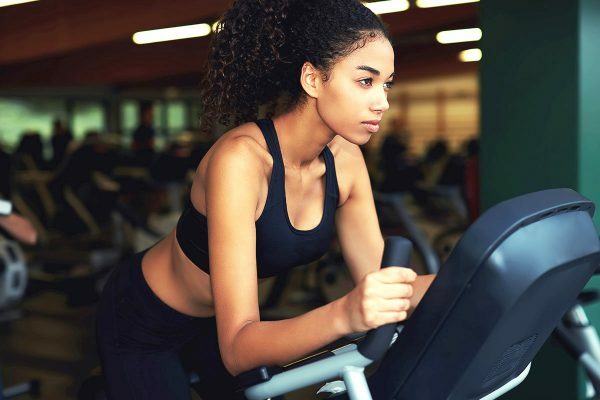 “Otherwise, if you pedal with your heels scraping the ground or your toes pointed, this will prevent you from giving max effort and your performance will be compromised,” she says. 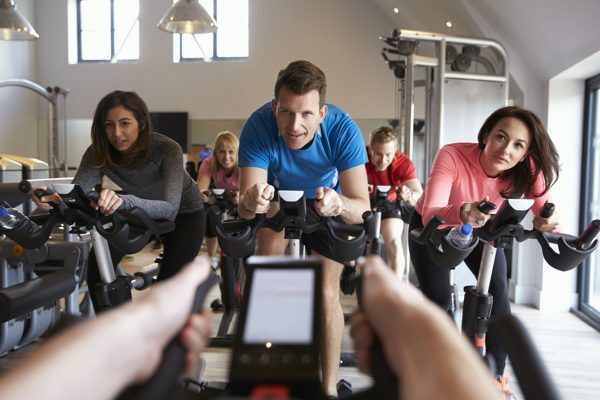 When your spin instructor says “turn it up,” it’s best to listen. In some instances, like on a hill climb, the resistance is there to push you harder. But, in general, you need at least some resistance at all times to support you as you pedal. Otherwise, your legs can bottom out on the down stroke, and you’ll bounce in the saddle. It’s uncomfortable and hard on your knees. Plus it will make keeping up with the pace of class very difficult. Indoor cycling is an effective, low-impact cardio option that can help build lower body strength and improve cardiovascular health. Use these tips to make sure you’re getting the absolute most out of your ride.